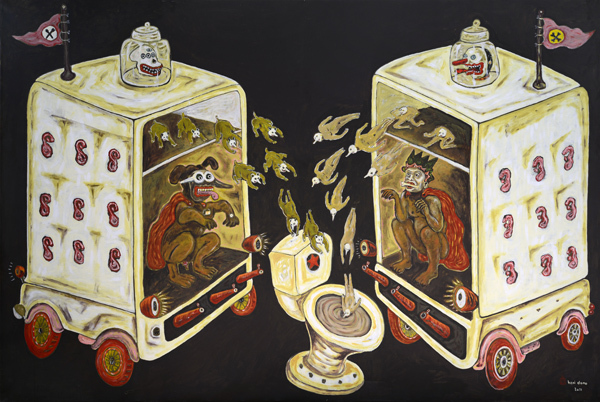 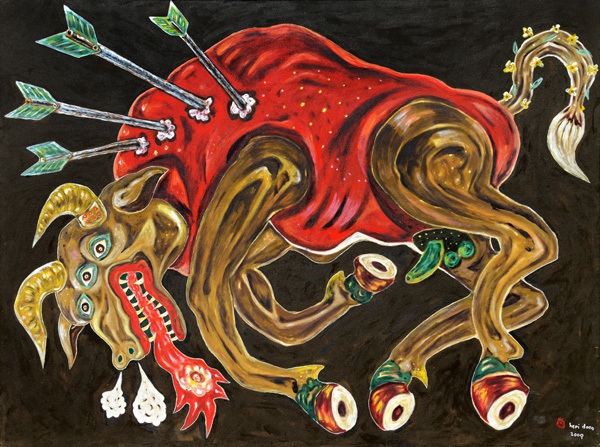 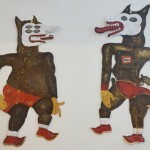 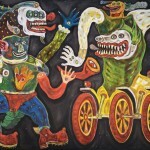 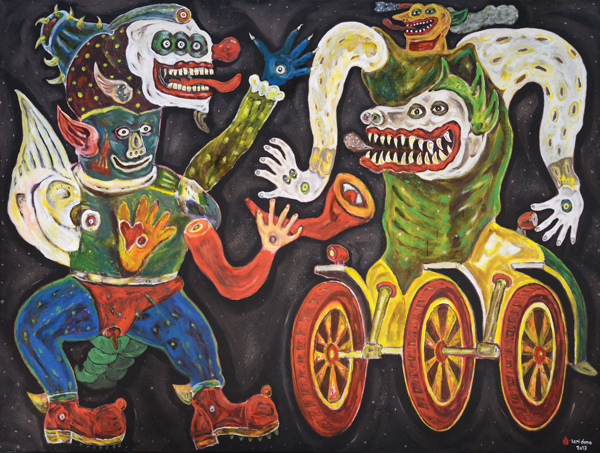 The title of Heri Dono’s solo exhibition at Mizuma Gallery, Singapore, JOY/FEAR, refers to the mixed and contradictory feelings one might feel while looking at Heri Dono’s artworks. 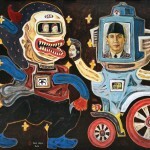 Since the 80’s, his works have been loaded with political criticisms. 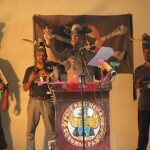 This is because he himself is a political victim of the New Order regime in Indonesia. 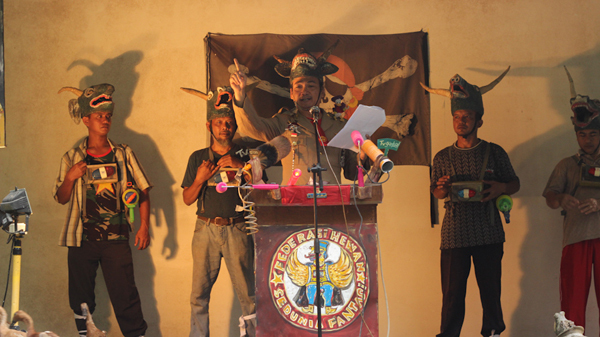 Heri Dono’s father was a high ranking member of the Old Order’s army. 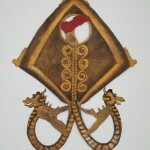 When the Old Order lost its power and got replaced by the New Order under President Soeharto, Heri Dono and his family were in big trouble. 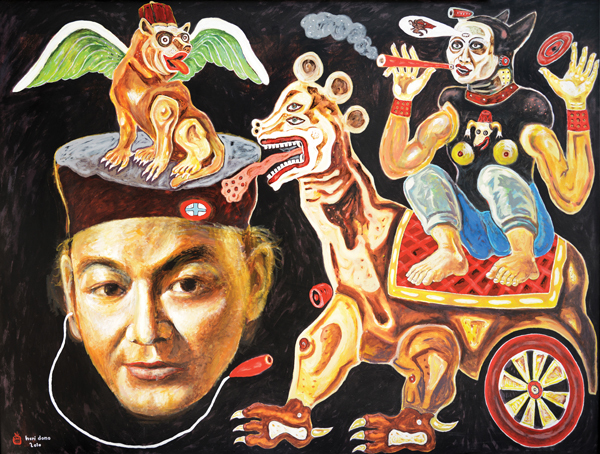 Heri Dono’s political critiques originated from a genuine feeling of hatred, it was not as a form of an intellectual political movement. 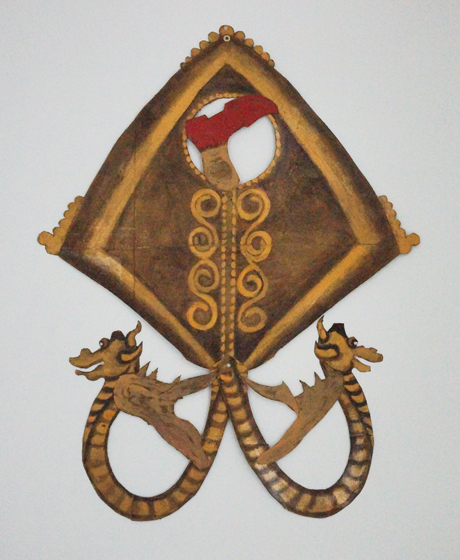 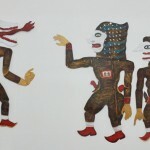 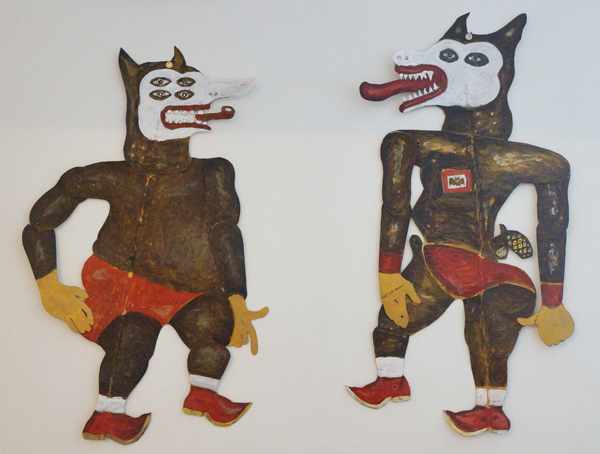 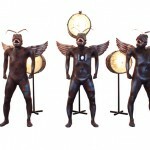 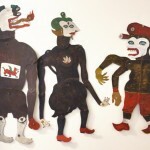 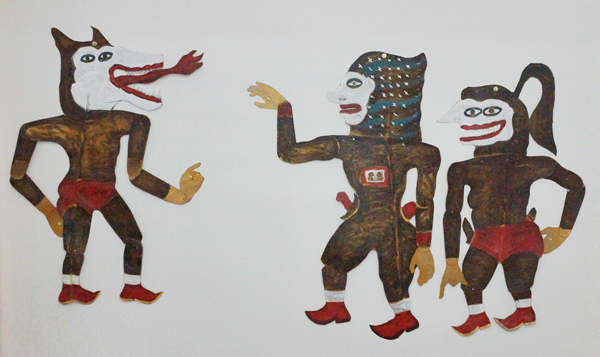 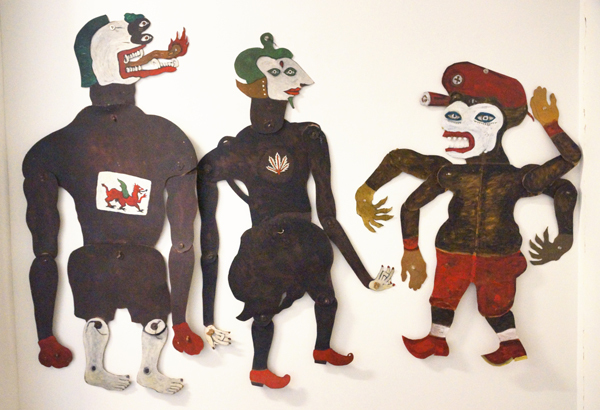 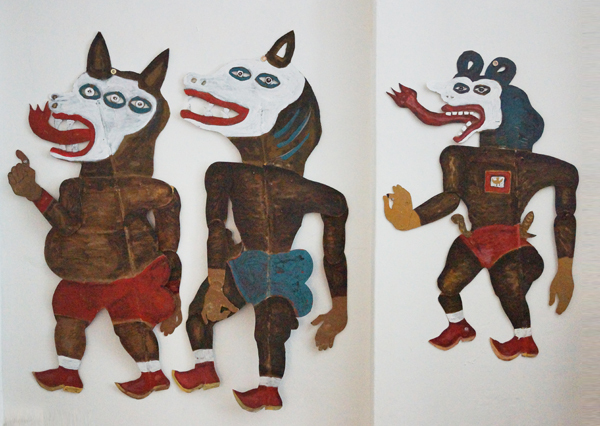 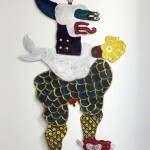 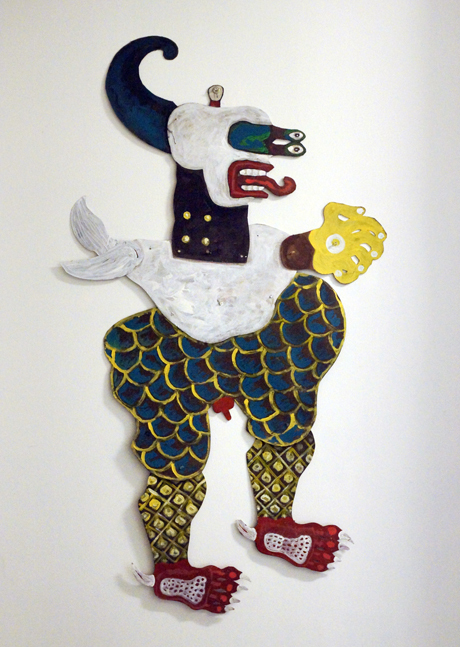 In his works, he often employ monstrous and scary wayang-like figures. 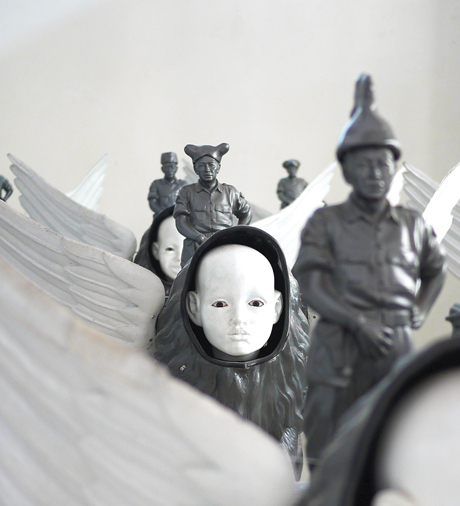 In a glance, these figures might feel scary, but when we look at the details of the works, we find things that are humorous and that will make us smile. 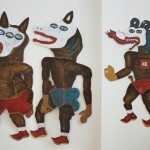 These monstrous, scary wayang-like figures are not only the analogy of his political criticism, but in many occasions, they are also the parody of the political situation that we are facing. 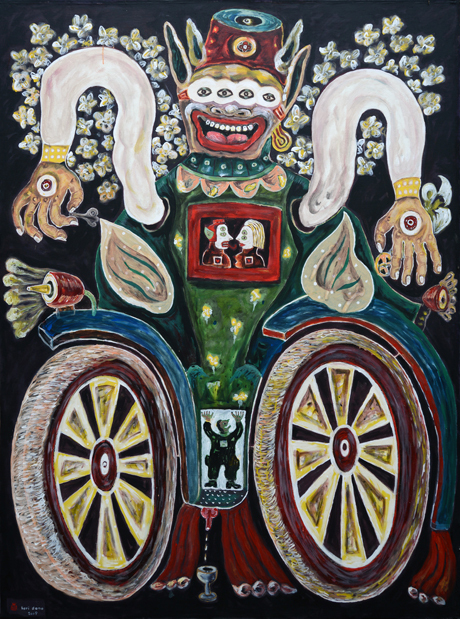 This is a true reflection of Heri Dono’s personality: a critical thinking person of high intellect, who looks at life with a great sense of humor and a big smile. 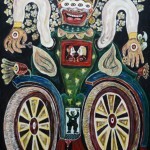 Heri Dono (b. Jakarta, 1960) studied at the Indonesian Art Institute (Institut Seni Indonesia) in Yogyakarta, where he won the Prize for the Best Painting in 1981 and in 1985. 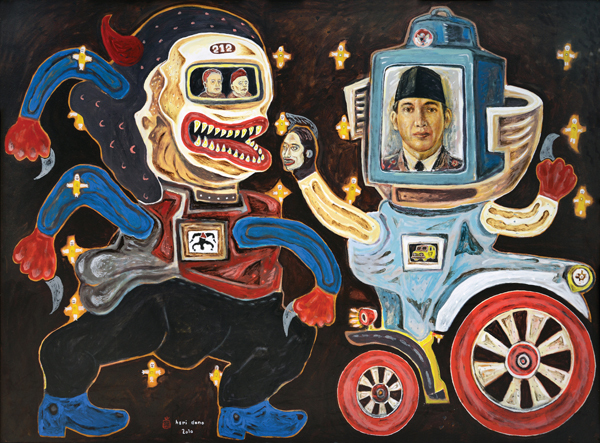 He is the recipient of the Prince Claus Award for Culture and Development (1998), the Unesco Prize (2000), and the Anugerah Adhikarya Rupa (Arts Award) from the Indonesian Government (2014). 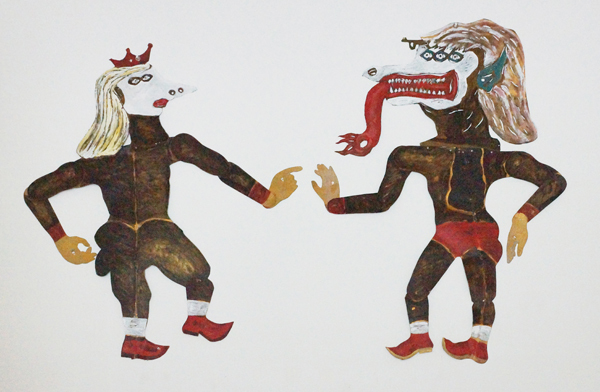 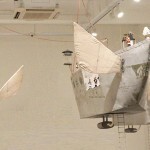 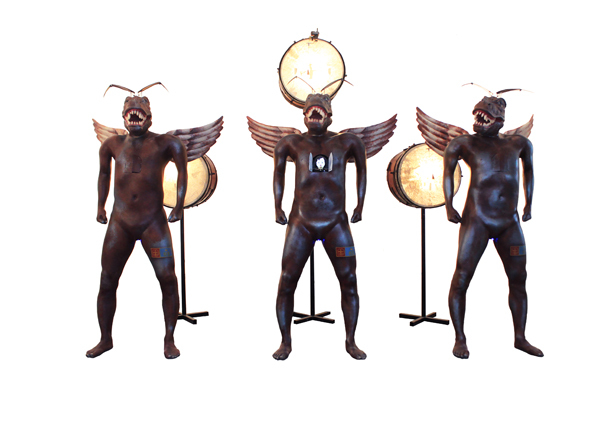 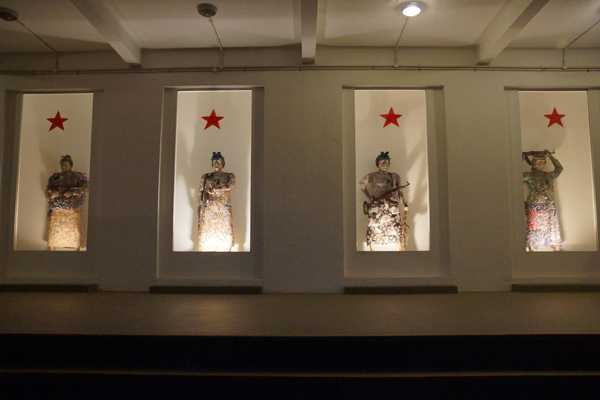 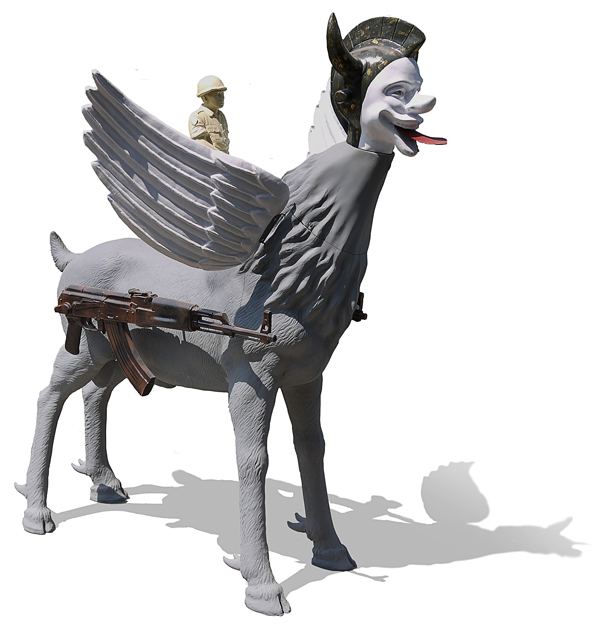 To date, Heri Dono has joined more than 270 exhibitions, including 27 international biennales, among others the 56th Venice Biennale (2015); 4th Guangzhou Triennial (2011); Gwangju Biennale (2006 and 1995); 7th Sharjah International Biennial (2005); Jakarta’s CP Biennale (2005); 3rd Taipei Biennial (2004); Zone of Urgency (Z.O.U.) 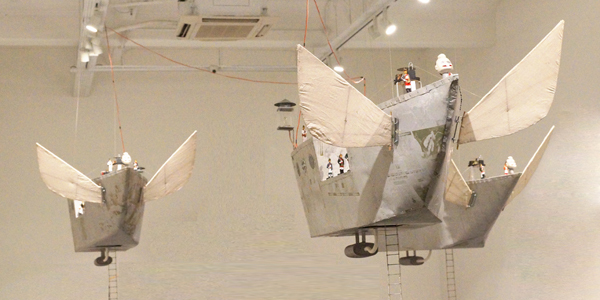 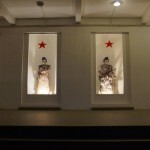 curated by Hou Hanrou at the 50th Venice Biennale (2003); Asia Pacific Triennale (2002 and 1993); Yokohama Triennale (2001); 7th Havana Biennial (2000); Shanghai Biennale (2000); 10th Sydney Biennale (1996); Sao Paulo Biennial (2004 and 1996). 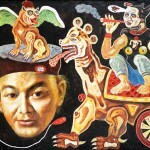 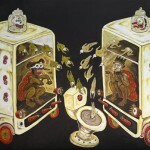 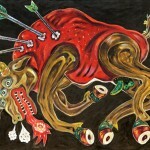 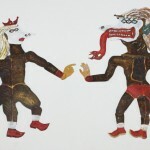 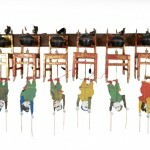 Heri Dono lives and works in Jakarta and Yogyakarta, Indonesia.